Last Pass Outfitters are the best Colorado goose hunting guides and back that statement up with their longstanding policy of “guaranteed opportunity Canada Goose hunts or another hunt FREE.” Colorado goose hunting on the Front Range represents some of the very best in the nation, and outside of a handful of neighboring states remains one of the best kept secrets in American waterfowling. This region annually overwinters nearly a quarter-million geese to include cackler and giant Canadas, snows and Ross’. 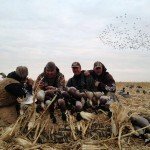 Last Pass Outfitters has the exclusive properties, expert know-how and top-of-the-line equipment to consistently put them wings-back-and-paddles-down into the decoys. 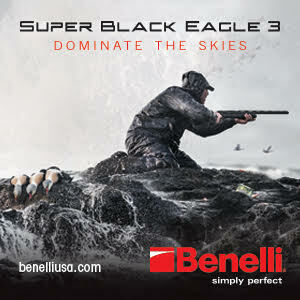 Canada geese are targeted throughout the fall and winter. While the big Canadas usually show up later, gregarious swarms of cackling Canada geese are plentiful throughout the entire season. 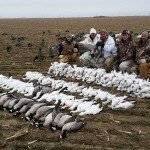 Snow geese and Ross’ are also readily available at times. Hunts take place on one of 20+ exclusive private property leases. 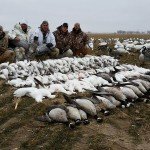 Habitats hunted are agricultural crops of corn, wheat and alfalfa, or may be ponds, gravel pits or rivers – wherever goose concentrations show the scouts. Primarily from heated pits, and sometimes from field layout blinds, hunters are strategically located on the carefully pre-scouted X. Seasonally, it’s common for ducks, predominately mallards, to assail the spread before the geese start doing their thing. Guests meet the guides in hotel lobby an hour before sunrise and head out to the field to set up. Drive times vary from 5 to 45 minutes from the hotel. If limits aren’t attained during the morning session, there’s a break for hot lunch before returning to hunt the afternoon flight. 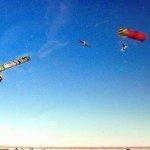 Located in Loveland, Colorado, the Denver International Airport is about 60 minutes away. Nearby Denver offers many non-hunting related amenities to include many night life activities, bars, restaurants, athletic events, and shopping. 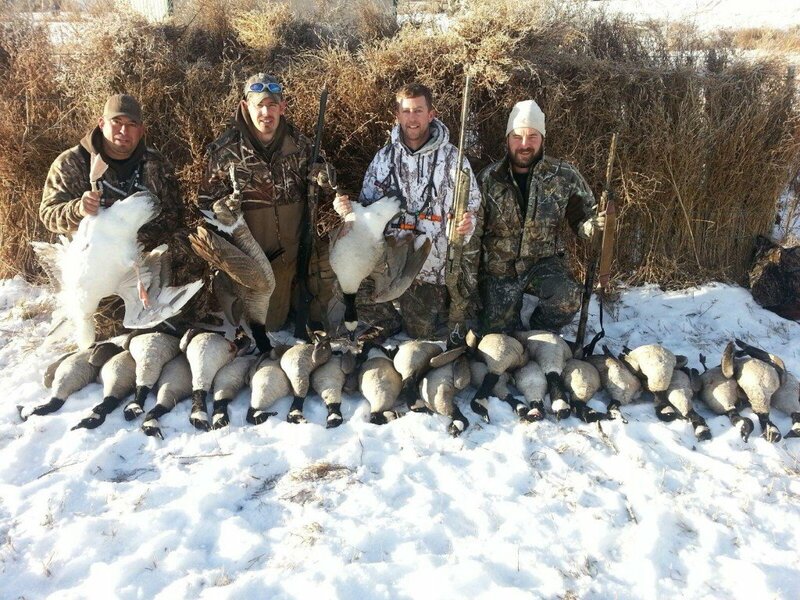 Some clients goose hunt for a few days before joining others in the mountains for snow skiing. The possibilities are endless. 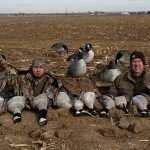 Colorado goose hunting available during the entire season mid-November through mid-February. 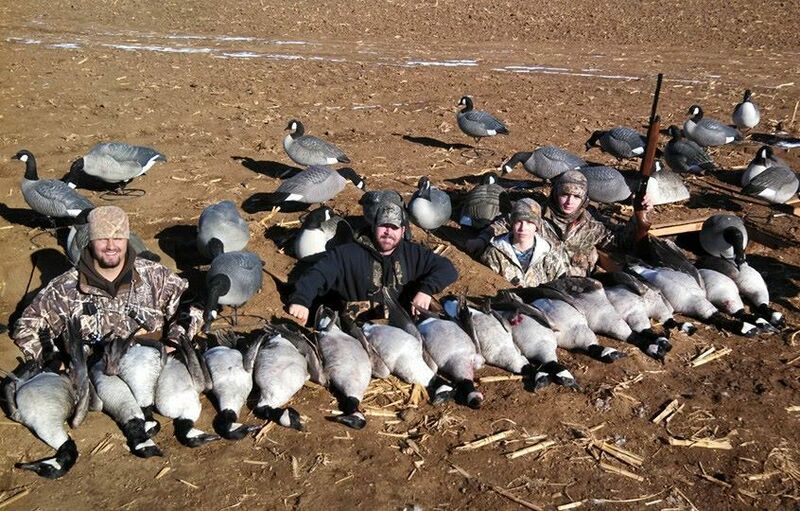 $250 per hunter daily rates for Last Pass Outfitters Colorado goose hunting guides service. Minimum 2 hunters, maximum 5 hunters per group. 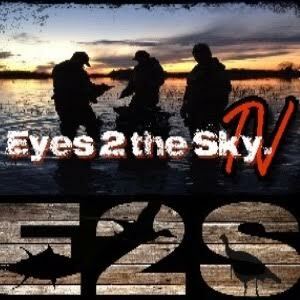 $225 per corporate hunter daily rates or Last Pass Outfitters Colorado goose hunting guides service. Minimum 10 paid hunters. Terms: A 50% non-refundable deposit required to reserve dates, balance due on hunt day. 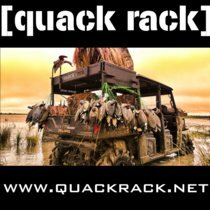 Ammo, guns, license, stamps, lodging, meals, gratuities and transportation are not included in this Colorado goose hunting package. Gratuities are solely at the hunters discretion and usually range 10-25% of the daily rate. 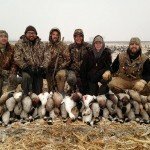 A bird processing fee of $5 per goose and freezer storage is available. Most clients bring coolers to store themselves. The weather is generally cold enough. 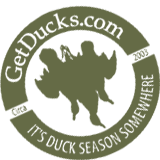 State and Federal guidelines for cleaning and transporting game should be followed. Hunters are advised to purchase licenses online preceeding their scheduled hunt. 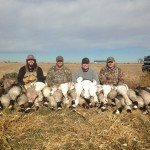 Last Pass Outfitters’ Colorado goose hunting guides staff are young, knowledgeable, likable and extremely hard working. Learn more about each of them HERE. Last Pass Outfitters has capable retrievers, but obedient retrievers are welcomed. 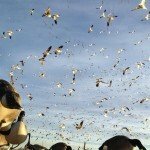 Last Pass Outfitter Colorado goose hunting – if this doesn’t make your heart beat, it’s because it may have stopped! 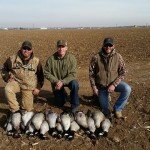 Contact the following references yourself to discuss their likes, dislikes and suggestions for goose hunting in Colorado with Last Pass Outfitters. 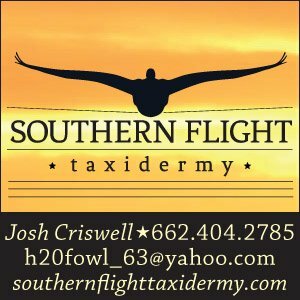 For the best guided Colorado Goose Hunting guides, contact this reputable outfitter directly to schedule and discuss your next adventure. 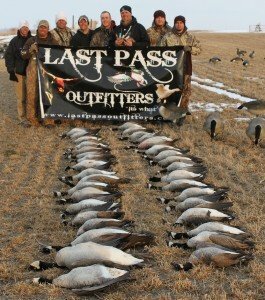 Last Pass Outfitters staff operate under the motto, “It’s what we do.” These Colorado goose hunting guides are energetic, enthusiastic, experienced and knowledgeable in putting geese paddles down into the decoys. 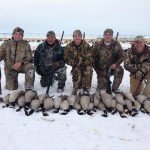 In just a short 5 years, they established themselves as foremost among Colorado goose hunting guides with their unwavering commitment to superior client goose hunting experiences. 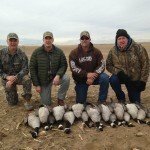 GUARANTEE is a powerful word in this modern era, but such is their commitment to ensuring you experience the best goose hunting in Colorado.